With the famed CONEXPO-CON/AGG coming closer, Tobroco-Giant USA is gearing up for it’s first exhibition there. The show is held every three years in Las Vegas (NV) and is regarded as one of the worlds biggest construction equipment shows. Tobroco-Giant has recently settled in Des Moines (IA) as factory distributor of GIANT compact wheel-loaders. The company is clear about its goals for the following years: ‘we are actively seeking equipment dealers who recognize the increasing popularity of compact wheel-loaders and compact loaders in general. The reason we exhibit at Conexpo is to attract the attention of construction equipment dealers and increase brand awareness’. Where skidsteers currently rule the market of compact loaders, the small wheel-loader is showing more popularity every year. More owners buy compact wheel-loaders because of their surface friendly operation, operator friendliness and ease of use. GIANT wheel-loaders are industry-proven machines being built in the Netherlands since 2002. A production of almost 3000 machines is scheduled for 2017, and a chunk of that is destined for American end-users like landscapers, farmers and construction contractors. From Des Moines, Tobroco-Giant USA intends to support dealerships accross the US in selling the new loader. The machines are fitted with Kubota engines ranging from 25 to 60 HP. In its compact wheel-loader range, 9 different sizes and configurations are available. These will be displayed at GIANT’s Conexpo booth. The Dutch manufacturer of GIANT (Tobroco) is continuously developing. 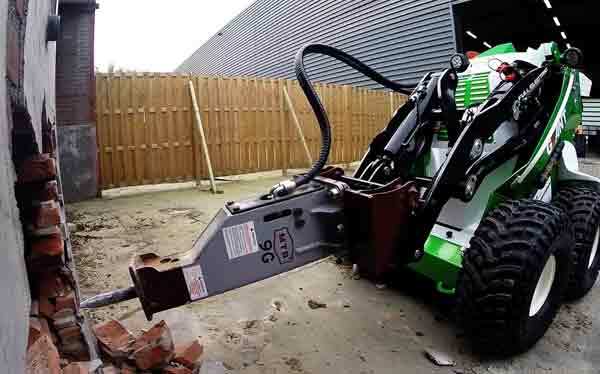 ‘We build what you want’ is their slogan and that is shown with the introduction of the full-electric mini-skid. To be exhibited for the first time ever in the US, the GIANT E-skidsteer will be demonstrated at Conexpo. The unique machine is driven by hydraulic wheel-motors which are electrically powered by a Jungheinrich battery. Another stand-out is its option to be remote controlled. The GIANT E-skid is set for market distribution in the second half of 2017. 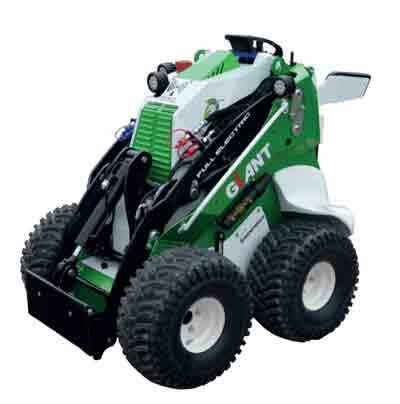 Tobroco-Giant USA will display these machines and more at Conexpo’s Gold lot, booth number G1122. The tradeshow runs March 7-11 and tickets are available online.